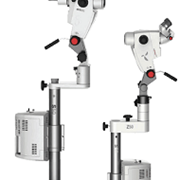 Attractively priced solutions are in demand more than ever before. 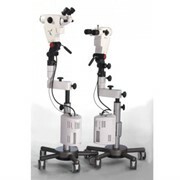 The answer is the Colposcope E which offers the benefits of a Zeiss colposcope at an amazingly attractive price. 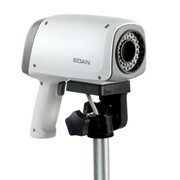 It is a compact unit providing very good optics and illumination. 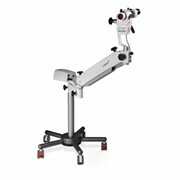 Convenience and flexibility are the outstanding benefits of the Colposcope E. It can be mounted on an examination chair or on the very compact floor stand. 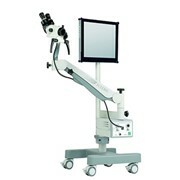 The Colposcope E – high quality and affordability in one. 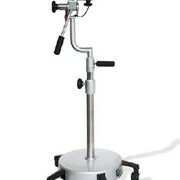 The mobile floor stand with casters is extremely small and can be easily moved from one examination room to another. 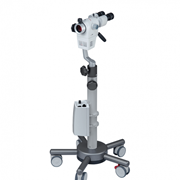 The compact version: the Colposcope E has been mounted on the examination chair and is immediately ready for use. 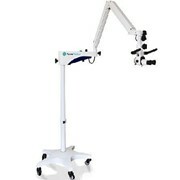 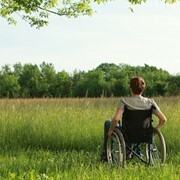 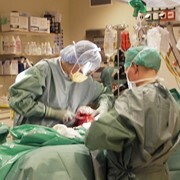 Mounts for attaching connecting tubes to examination chairs must be obtained from the manufacturers of the examination chairs concerned.